CleanPools | Adelaide experts for treating pools osmosis. Does My Pool Have a Leak? Osmosis (or blisters) often occurs in older fibreglass pools that were made 10-15 years or more ago. Scientifically osmosis is described as a process where fluid (such as water) passes through a semi-permeable membrane (ie fibreglass) where the solvent concentration is higher, thus neutralising the concentration of fluid on either side of the membrane. In older fibreglass pools, this is groundwater from the outside of the pool passing through the fibreglass to the inside of the pool. The occurrence of osmosis in recently manufactured fibreglass pools is almost non-existent, as a vinyl ester resin layer is incorporated into the fibreglass during the manufacturing process. The vinyl ester resin layer prevents water from passing through the fibreglass. 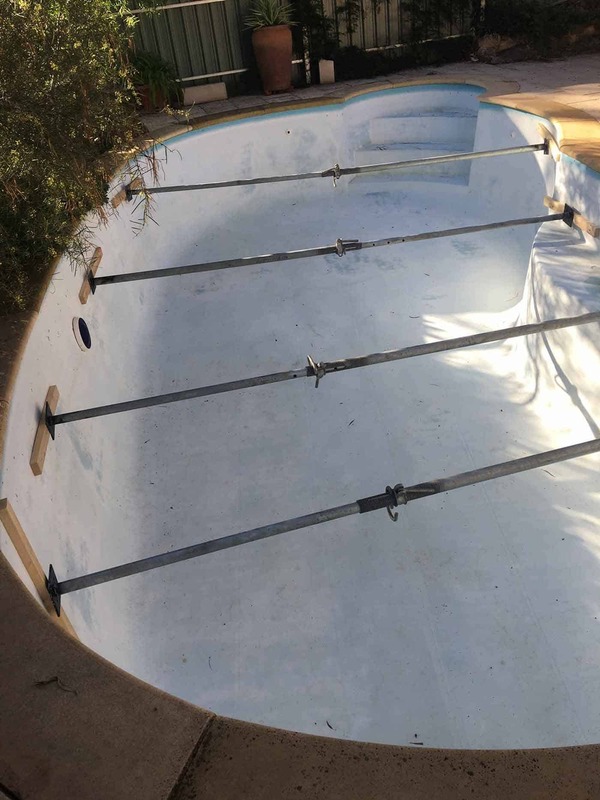 The osmosis process in older pools essentially begins as the fibreglass laminate starts to delaminate with age, enabling water to pass through the fibreglass. As time progresses, blisters that have formed begin to pop. 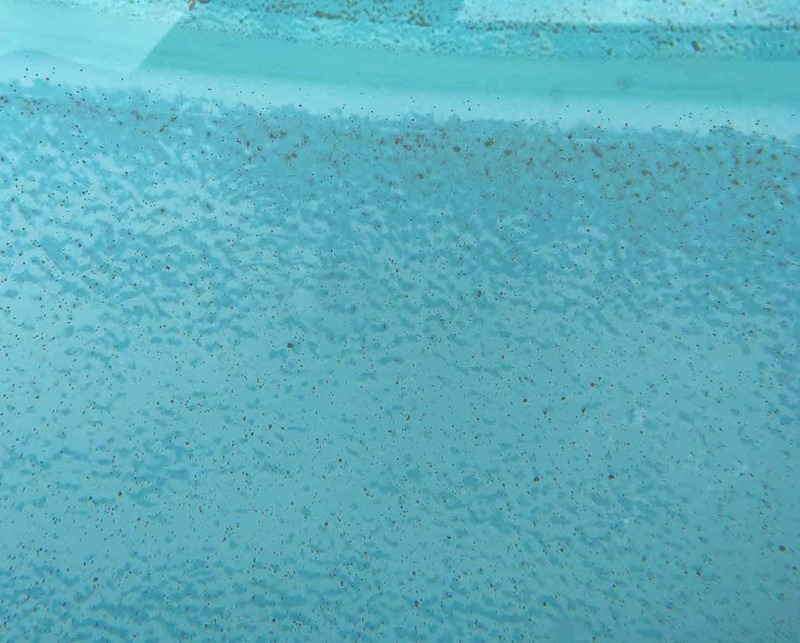 The surface becomes quite rough and inside the blisters staining of the fibreglass occurs that gives a similar appearance to black spot algae. Often treatment with a specialist stain remover can temporarily remove the stain, but it does not fix the problem. Where stains have existed for a while, adding high levels of acid or acid washing your pool in some circumstances may be needed. Repeat treatments will be required every 3-6 months as a preventative measure. A short-term repair strategy may be repairing isolated blisters from time-to-time and a longer term solution would be having your pool re-surfaced. If draining the pool and acid washing is the action being taken, to help prevent your fibreglass pool from popping-up out of the ground (or the sides bulging), it’s best to drain the pool on a non-rain day and brace the pool. Leave your pool empty for the minimum amount of time while having work done, as speed is of the essence to reduce the chances of your pool rising or the sides bowing. Contact us to get your pool checked today!